A prominent member of a dissident group of FARC guerrillas was killed in an attempted arrest on Monday, according to the defense minister. Mauricio de Jesus Medina, aka “Morrudo,” died in an operation carried out by Colombian police in the rural area of San Vicente del Caguan, the capital of the of the southern Caqueta province, Defense Minister Luis Carlos Villegas told press. According to authorities, “Morrudo” was a trusted confidant of “Gentil Duarte,” the leader of the dissident 7th Front, one of six of the FARC’s approximately 50 units that have rejected the peace process. 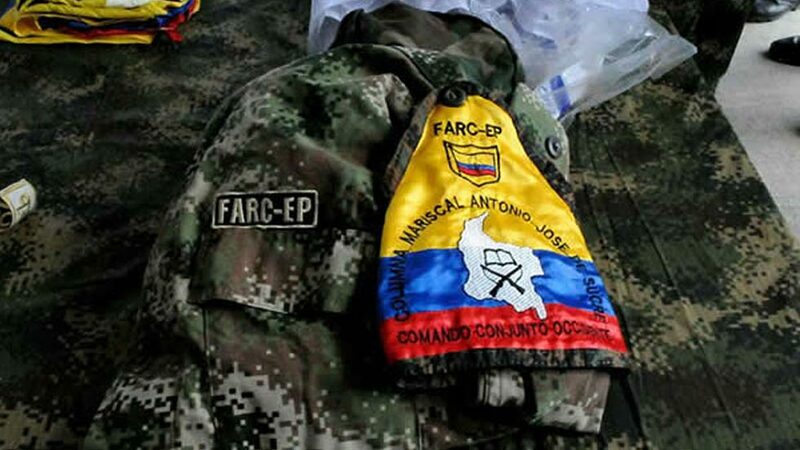 These five fronts and one column have tried to maintain control over criminal operations run by the FARC, mainly in illegal gold mining, extortion and drug trafficking. However, these groups are under pressure by both authorities and rival illegal armed groups. Without the support of a national organization that could deliver reinforcements, many of these groups should go extinct shortly. When paramilitary group AUC demobilized between 2003 and 2006, approximately 60 dissident groups formed. By 2007, the vast majority of these groups had disbanded. The same seems to be happening to the dissident FARC guerrillas, conflict investigator Ariel Avila of the Peace and Reconciliation Foundation told newspaper El Tiempo. “There were five dissident groups, one and a half, almost two have already surrendered. Now there are three,” said Avila. While claiming success in curbing guerrilla opposition to the peace process, the government has made little progress in combating the paramilitary groups that dissented from the AUC, in particularly the Gaitanista Self-Defense Forces of Colombia, a.k.a. “Los Urabeños,” who became Colombia’s largest illegal armed group the minute the FARC signed peace.